We’re longtime Mountain Khakis fans. Pants, shirts, dresses, jackets — at least one or two items find their way into our luggage for any trip we take. Why? Mountain Khakis clothing is comfortable, fashionable, durable, functional and looks cool. We love Mountain Khakis so much we are thrilled to be partnering with them to give ONE lucky person a $200 gift certificate to shop at MountainKhakis.com. 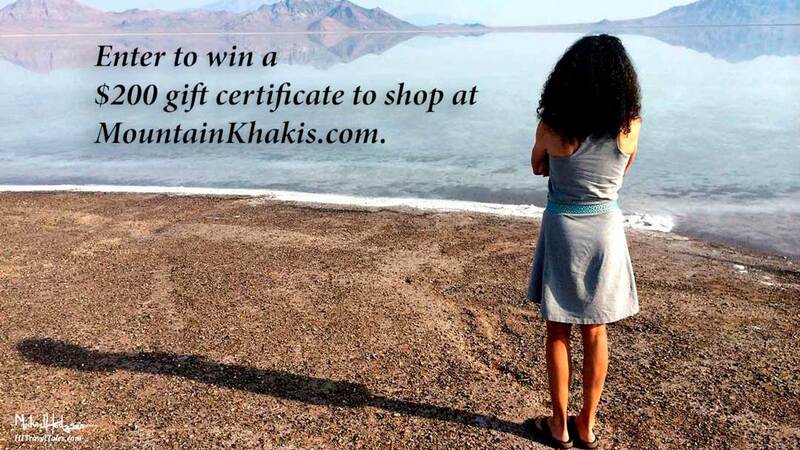 We’re also giving away a $75 gift certificate to another lucky person to shop at MountainKhakis.com. Unfortuntely, the contest is now over, but stay tuned as we will be offering more giveaways from iconic travel and outdoor adventure brands in the future.